It took a “first report of its kind” – a review of 173 studies about the effects of media consumption on children – to undo tremendous efforts over the last few years to educate parents and policy makers about the benefits of video games (and internet and modern TV). Books such as “Everything bad is good for you” and “What Video Games Have to Teach Us About Learning and Literacy” have argued successfully that these pop culture phenomena may prepare kids for the 21 first century better than other methods (cough*schools*cough). So what’s up with this new report? Can 173 studies be totally wrong? Well, if you look closely at the results of the report – its key finding is about the hazards of immobility: the couch potato syndrome. Joking aside, is there anything we can we do about it? Even the most charming kid-friendly president in modern history won’t be able to convince kids to give up their favorite pastime. That would be as pathetic as Don Quixote fighting with wind-mills. So how are we going to liberate children from the screen without losing them? My answer is simple: give them reality experiences. The technology to enable these new kind of reality games has been around for sometime. 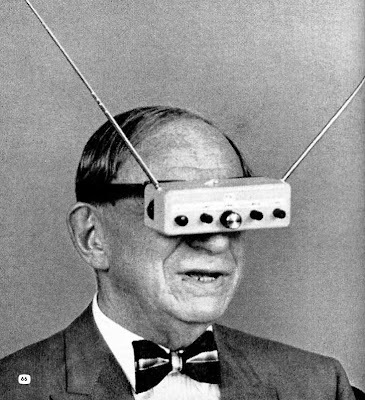 The techies call it augmented reality. For the rest of us – it’s just a new way to experience reality, to experience the world. Every revolution needs a spark to light up. Sparks are mostly based on fear or hope. The NIH report may have provided the spark for the augmented reality revolution, spurring a combination of both fear and hope for a better world.